What began in November 2016 as a pop-up-like business known as Deep Sea Sugar & Salt—a weekends-only Airstream trailer offering decadent, artful layer cakes in flavors such as The London Fog, carrot pineapple, and peach bourbon—is now a full-fledged brick-and-mortar operation. 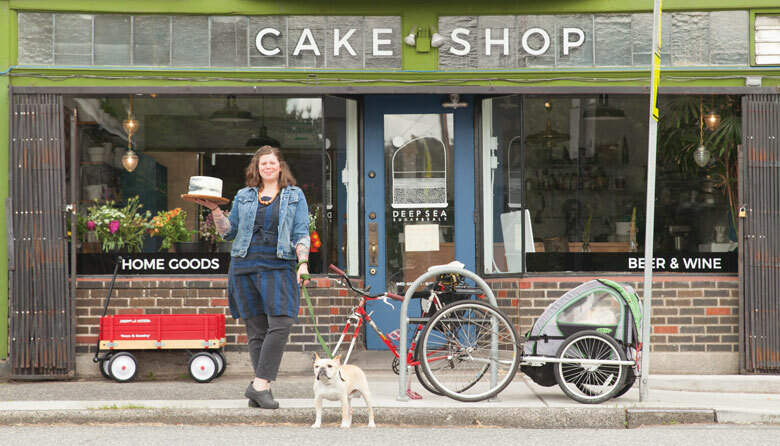 At Deep Sea’s second location (Georgetown, 6601 Carleton Ave. S; 206.588.1186), owner Charlie Dunmire has built a picturesque, light-filled cake shop that honors the beloved neighborhood market formerly found there. You can now buy thick wedges of cake and daily essentials like toilet paper and milk, plus fresh flowers and greeting cards, Wednesdays through Sundays. Dunmire says, “I can now bake in a day what I was baking in a week.” It’s the sweetest kind of win-win: Her success equals more cake for us.